It had been a while since I’d gotten out my sewing machine, and since I had a few project ideas and some extra time I figured this weekend would be as good a time as any to relearn how to load a bobbin (and it was easy). 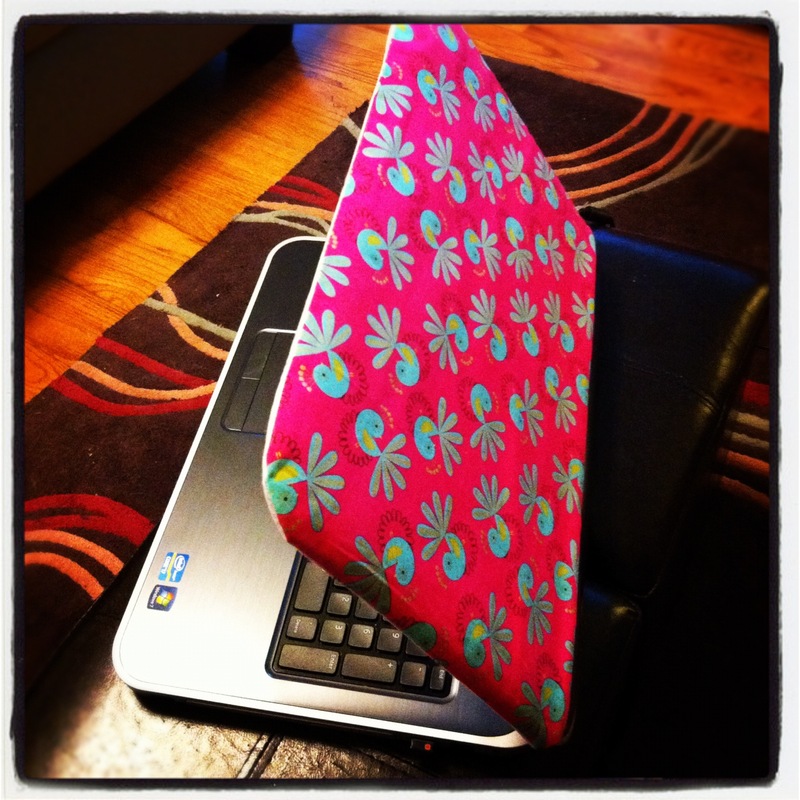 I just bought a new laptop so I picked out a set of coordinating fat quarters and sewed up a little laptop lid cozy, which you slip over the screen part of your laptop before closing it to prevent the keys from scraping up against the screen. This is useful for when things land on your laptop, like a leaping overweight cat, for example (in our house, this scenario is extremely likely to happen). Anyway, the laptop lid cozy is fully lined and reversible so you can have four different fabrics on the top. See? Now my screen won’t get scratched from flying cats landing on my laptop. Additionally, I saw an article about repurposing old belts and scarves into camera straps so that you can look all stylie while you’re annoying your friends and family by taking pictures of them all the time. 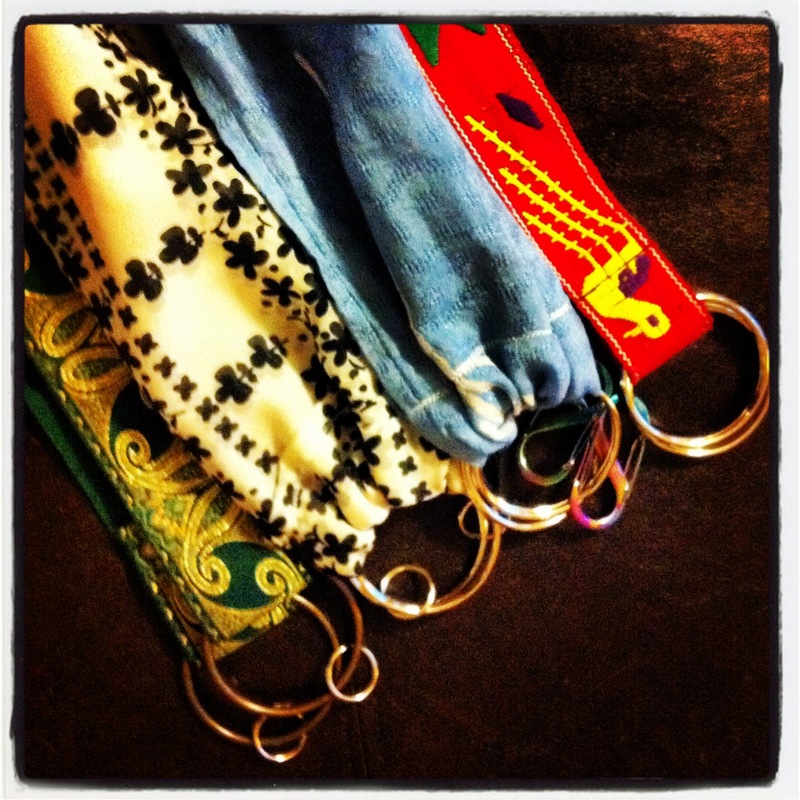 You just cut off the ends of the scarf or belt, sew in some hardware, and voila! 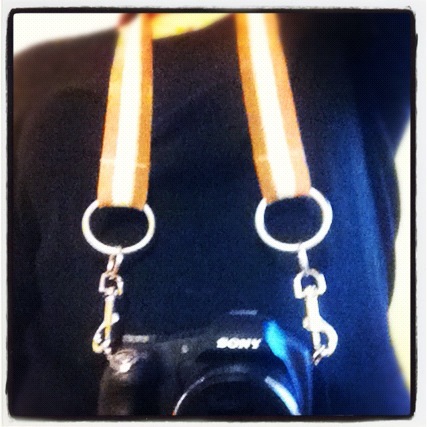 Super cute camera straps that are interchangeable with your outfit and the weather! 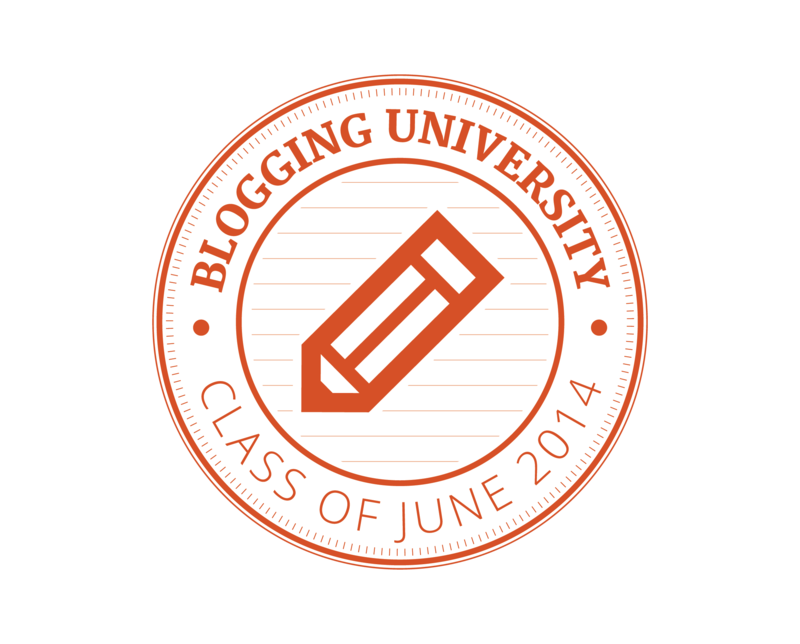 You can take a look here for some ideas. I took a couple of old belts and some of my Granny’s scarves (they still smell like her perfume) and attached different hardware to them so they can clip right onto my camera.